Thanks for all the info you readers posted on yesterday’s topic… I’ll try to email G. and tell her to check back and read the links and comments. THANK YOU! A day of babysitting… and we were out ALL DAY LONG. It’s supposed to rain AGAIN! tomorrow, so I was happy to get a full dose of Vitamin D today. raked and hauled some leaves. caught some bugs and worms. built a campfire and cooked hot dogs and hamburgers. Spring is a busy time of year! This would make a dandy jigsaw!!! Thanks for sharing. …..and you made some GREAT memories! 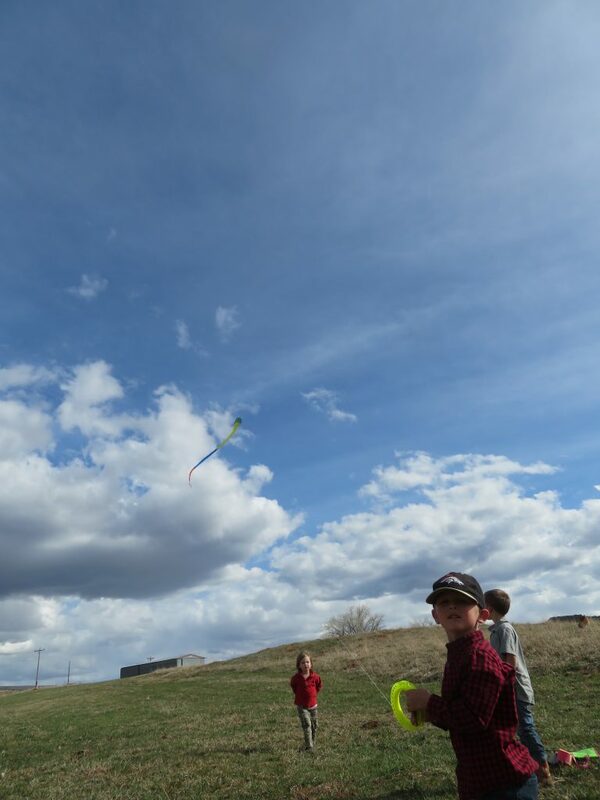 Yes, such a fun spring day…and wide open spaces to fly a kite.